Do you got your favourite stylish t-shirt already? It's the season of tee, which I love very much as I am actually a t-shirt person. What is more convenient than t-shirt? But make sure yours is stylish enough. So it is good if you know one or two of current MOST HITS t-shirt. 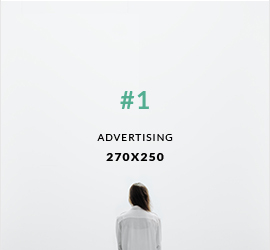 Did you know that wave of worded top has hit the shore? Let's see if you own one of these, kay? 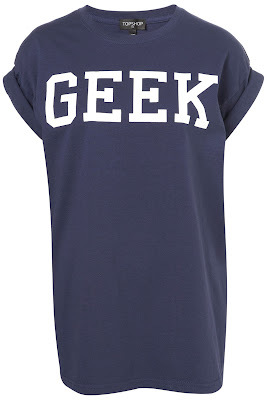 'Geek' top from Topshop. Just match it with a pair of leather trousers or a pair of stylish legging will be nice. 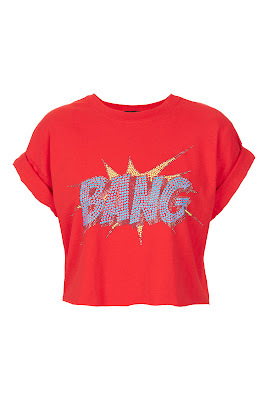 Similar worded top can be found in Wildfox Couture and ASOS too. 'Love is Blind' tank top by Tee and Cake at Topshop, cost you around RM120++. 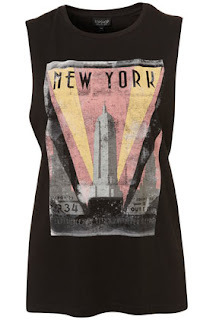 Check out Mango, Foever 21 and ASOS for similar tank top too. 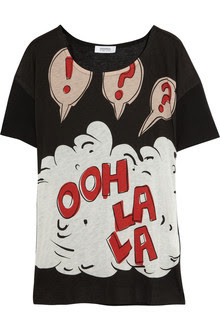 'Ooh La La' by Sonia Rykiel from Sonia, nice match with torn denim shorts. It's a pop-art inspired design. Enjoy the mix and match. Another pop-art and comic inspired top, 'BANG' cropped top by Topshop. Cost you around RM120 and you can find it in Topshop. Team it up with high waist leather pants and hi-top trainers for quirky look. 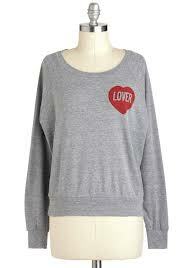 'Lover' sweatshirt by MNKR at Modcloth. Also costs around RM120. However, you can get a similar one with cheaper price I guess. If you are not a branded person. 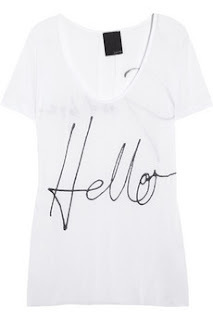 'Hello' shirt by Lot 78. It's a bit pricey though, costs around RM450++. 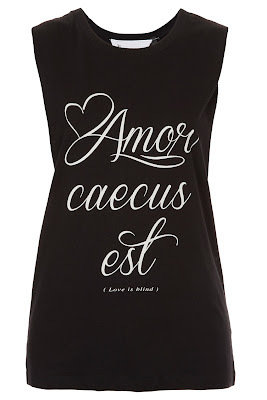 I suggest you can do some DIY to create something similar by writing on a plain t-shirt, aye? 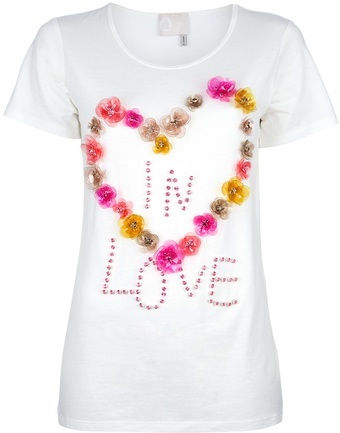 The 'In Love' shirt by Lanvin, with 3D flowers attached on it. Can do this by your own as well, let your creativity fly. It goes nice with blazer or denim jacket. 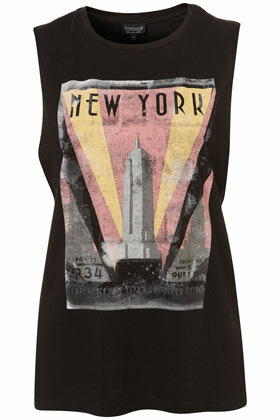 Another tank top from top shop. Shirts with city are still very popular now, so get yourself one ya. So got some idea what to add to your wardrobe now? Hope you got your favourite one! I wanna wish all the ladies Happy Women's Day!